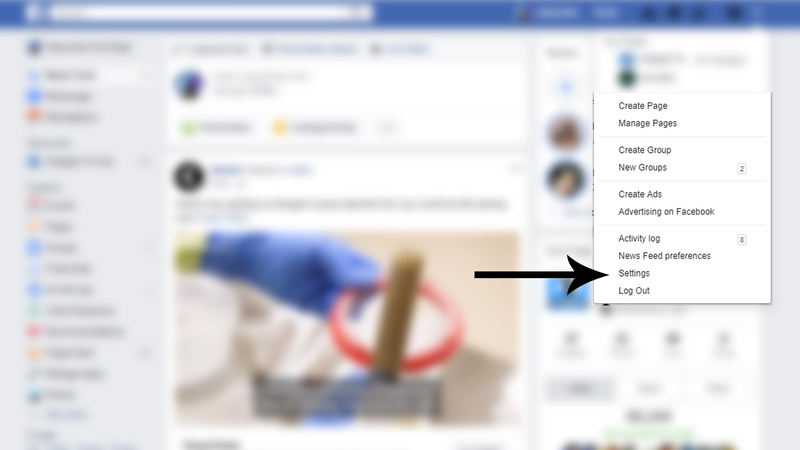 After the recent outrage on Facebook using the private data of the users, every other social media network is now very much concerned about their users’ data privacy. Social media channels like Facebook, Twitter, and Instagram have so much data saved on their servers. Now, these services have made it possible to allow users to download their data. So, if you want to know how much data these social media giants were storing or if you are deleting your account from these social media sites and want to download your data before exiting, you can do that too. 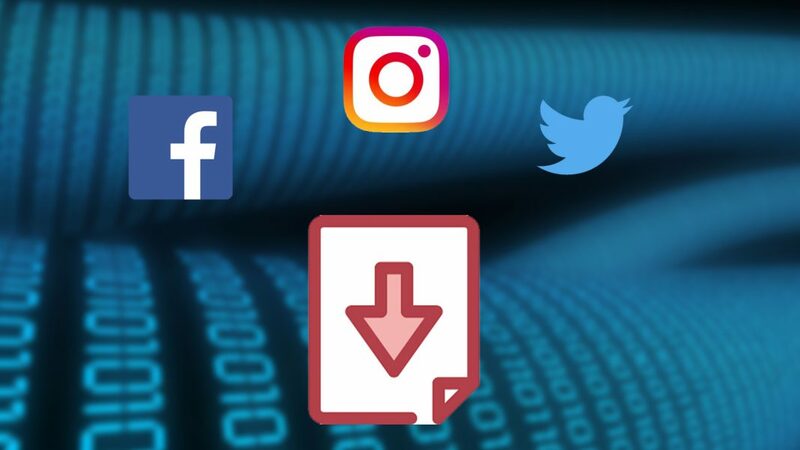 Here is a small, effortless and straightforward guide to download all your data from Facebook, Instagram, and Twitter. Facebook has the highest amount of data of their users as we share almost everything on it. Facebook even track your location and save that data for ads recommendation and more. You will be able to download every bit of your information which you have associated with your account like videos, photos, messages and more. 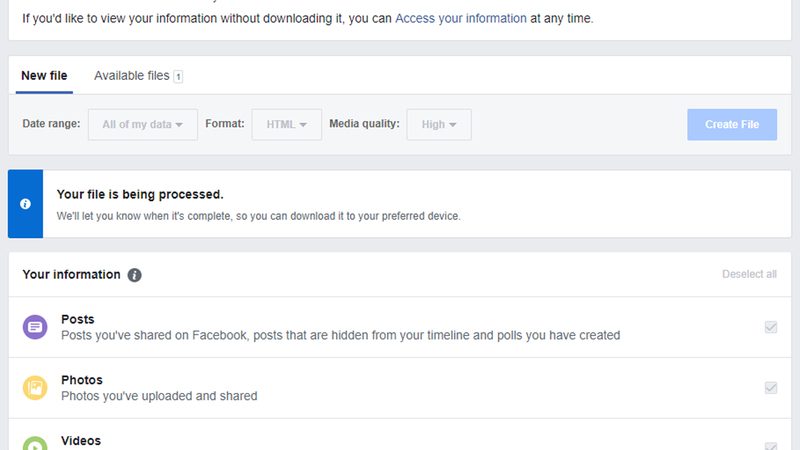 Log into your Facebook account which you want to download the data. Go to Settings by clicking the drop-down menu on the top bar. The General tab will show you all your personal details and a Download data link, click it. You will reach a page where you can select the amount of data you want to pick. Select the date range, format, and media quality, then click Create file. 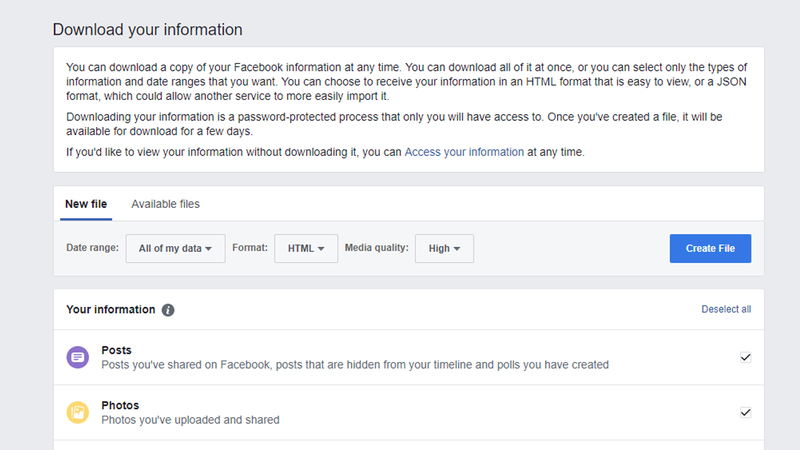 The Facebook will ask you to wait till the data file creates, this time depends on the amount of data you are downloading from Facebook. If you are downloading years of data, then it might take hours to create the file. Once the file is created, you will get a notification, clicking the notification will take you to the download page. Now, you will be able to download the archive file with all the data you asked for. Once you download the data, you need to extract the archive file to get access to the data. All the media files are in a folder, and the messages data and statuses will be in HTML format. Instagram is a part of Facebook after the acquisition, and every new feature in Facebook comes to Instagram instantly. 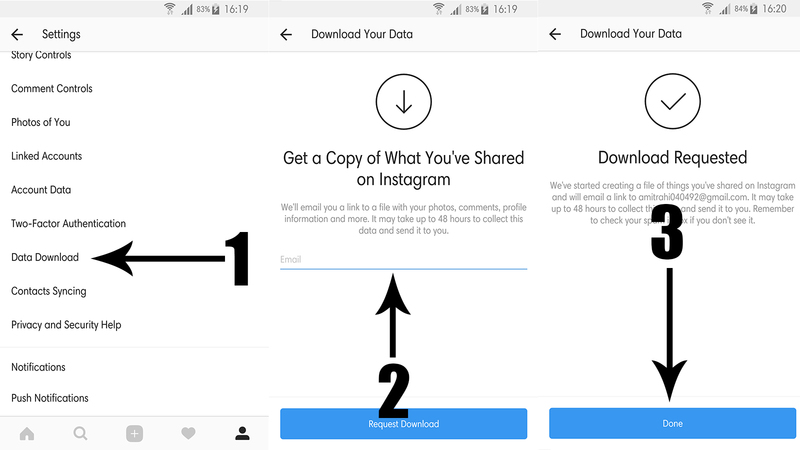 Which means you can download your Instagram data in the same format as Facebook, here is a little guide. Open the Instagram app and log in to the desired account. Now, go to Account page then the Settings page. Tap the Data download option from there; you will be asked for the password once. After entering the password, you will be asked the email id where you want the data. Clicking the Request data option will send a download link to the email you entered. You can then download the data from the link you received in the email. Instagram also takes the respective amount of time to get the data ready for download; you will get all the videos and photos you posted on the Instagram, the other data will be available in a .json format which you will be able to open in any text editor like notepad. 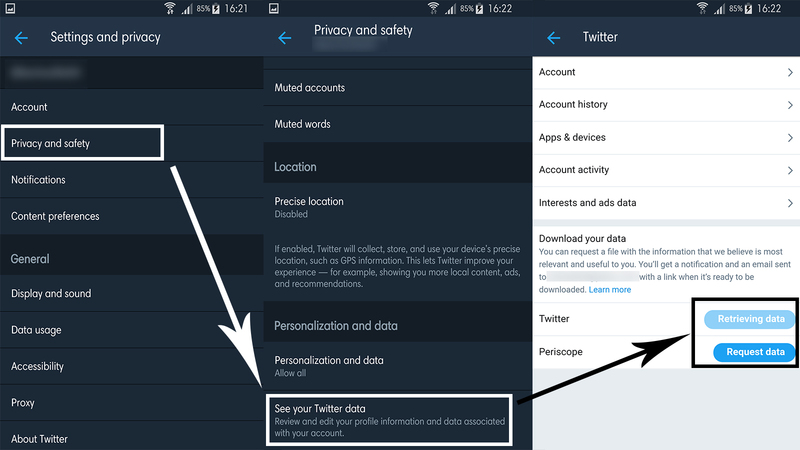 Twitter takes the most time to retrieve data for you but at least you can download your Twitter data too using these simple steps. Open the Twitter app and go to Settings and Privacy. Then go to Privacy and Safety and then select See your Twitter data. A page will open showing you buttons to download Twitter and Periscope data, click the Request data button and wait till it creates an archive of all your Twitter data. This will take some time, and you will be able to download the data after it is available to download from the same page.